Check out the Success Shop and get the tools and resources you need to be empowered. 5 Proven Principles of Success! 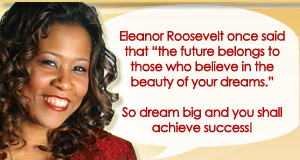 Get Your POWER Tools Check out the Success Shop and get the tools and resources you need to be empowered. Stay In The Know - Sign up to get the next copy of Roslyn's E-Newsletter, The POWER Connection. You’ll receive POWER Tips and information on upcoming events. Roslyn's on BlogTalk - COMING SOON!!! An attention-grabbing show that touches on hot topics for individuals seeking success. Reinvest and Redefine a better YOU and Win in Life! Get the know-how to reinvest and redefine your purpose for achieving success and build a better you. Here, you will learn that to become empowered you must understand what it means to intuitively capture the true essence of who you are, while overcoming challenges that stand in the way of accomplishing your goals. Join Roslyn in understanding the 5 key elements of the POWER Factor that will help you build upon your personal and professional life by providing the tools necessary in embracing your full potential. Become a part of the movement, unlock your POWER Factor and Win in Life! If you are ready to start your journey to self empowerment, then contact us and discover the many resources that Roslyn has available for you. Join Roslyn’s mailing list and you’ll receive tips and information on upcoming events. It’s another way to stay focused on your success.